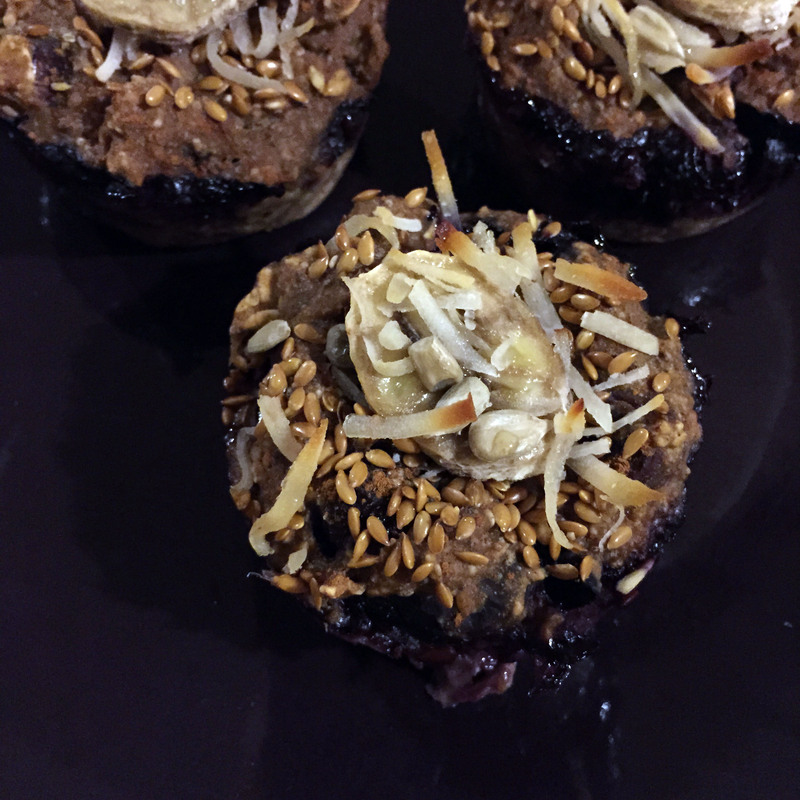 This week I made Running on Veggies‘ Pre-Workout Blueberry Maca Muffins! After traveling, there are few things that make me feel settled again like a full fridge and if possible…a fresh batch of homemade something. These baked goods have the added bonus of serving as delicious fuel before a hard run. As Lottie points out, they’re also easily portable so I’ll be packing a few for Alex before his half marathon in Virginia later this month or for the RNR Savannah this fall. Oats: quick digesting carb it wont sit in your stomach for hours. Chia Seeds: If you ever read the book Born to Run you know how important chia seeds are! They ran for hours, fueled by chia seeds. This super seed is loaded with healthy fats to keep your stomach from grumbling, plus they expand in your stomach keeping you hydrated! Apple Sauce: Instead of oil, keeping this muffin really low in fat. Because fat takes energy to digest, so lets not waste energy digesting food! Plus it gives the muffin a slightly sweet taste. What do you eat as a pre-workout snack? Would you make these?